Game On: Taking over the spot formerly occupied by Shore in The L Place, Hunter & The Chase is an American-inspired concept with a firm focus on game meat and unusual ingredients. Look & Feel: The two-storey concept is split into two sections. The downstairs bar is sleek, modern and done up in neutral shades. There’s also an expansive outdoor terrace and bar that’s perfect for after-hours bevvies. Upstairs, the dining room is made up in a style best described in hunting lodge chic. 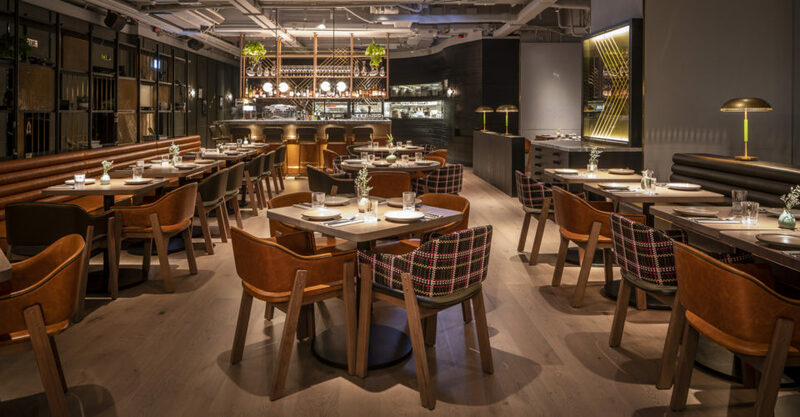 There’s plenty of wood and leather, accented by brassy metals and plaid upholstery. On the Menu: The American-inspired menu is full of offbeat ingredients presented in solid style. To begin, there’s geoduck done in yuzu and lime zest ($178), bison tartare ($228), and a lively potted rabbit confit ($148). Heartier dishes are a meat-lover’s delight with hanger steak ($218), bison tenderloin ($378), and a perfectly spicy Spanish octopus ($218). 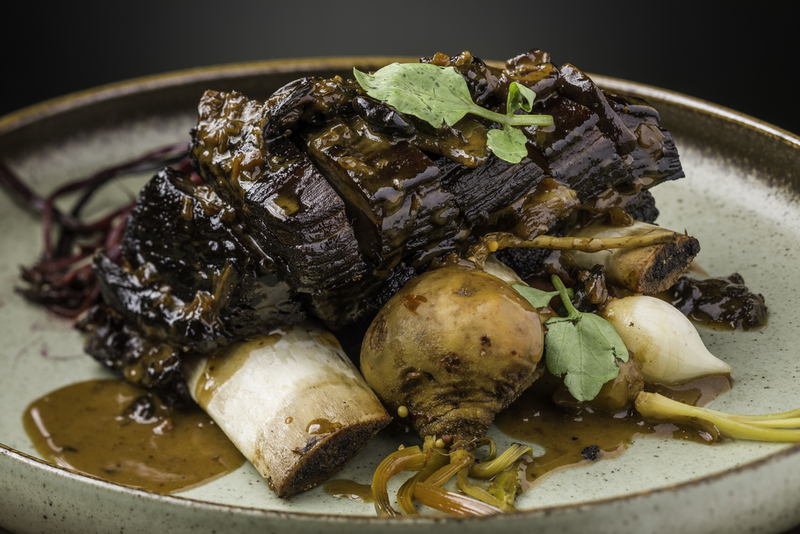 If you’re out to impress (or perhaps frighten), make sure to order the bison short ribs ($498) or the half roasted pig’s head ($798). Whatever you do, leave space for dessert. The cheddar crust apple pie ($98) is perfectly balanced and moreish, while the lemon meringue pie ($118) is a refreshing treat. The Bison Short Ribs at Hunter and The Chase. Meet the Chef: Californian-bornFelipe Lopez polished his skills at the best casino restaurants in Las Vegas before coming to Hong Kong to continue his pursuit of perfectly refined butchery and grilling. Jeng: The food is truly well executed, and the restaurant has plenty of space. It’s a nice change from the usually poky eateries of Hong Kong. Not So Jeng: The ambiance of your experience will depend heavily on what other drinkers and diners are around. Great For: Trying quirky ingredients and dishes with friends. FYI: The Chase (the 3rd floor bar) is also home to Ralphie’s Cheese Bar, which specializes exclusively in American cheese. Order a platter as an appetizer while you’re drinking – the cheese is truly excellent.